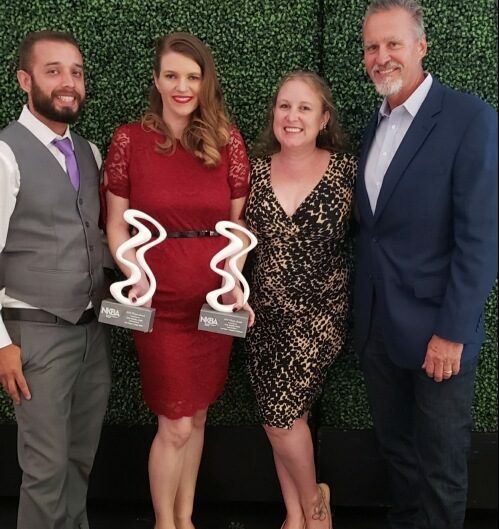 The Southern California National Kitchen and Bath Association (NKBA) held a competition in 2018 for best Large, Medium, Small and best Overall Bath and Kitchen designs. Each competition was scored on five core areas including Safety and Ergonomics, Elements and Personal Design, Design Planning, Creativity and Presentation. Designers submitted drawings of Floor, Construction and Mechanical Plans, as well as a description of the project including challenges that were faced and professional photography of the construction to the NKBA. Zieba Builders took home First Place Awards for Best Large Bath and Best Medium Kitchen. With a great design and construction team, Zieba Builders can make your next remodel an award winning project. Call Zieba Builders today to start your new unique design.